Ready. Putt. Splash. 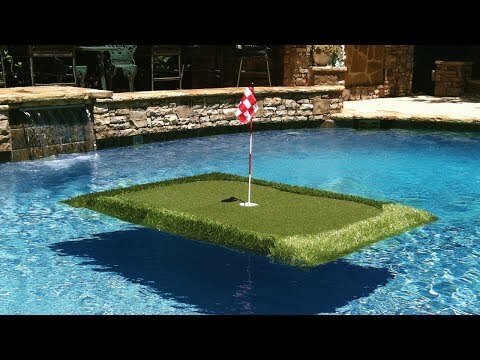 Transform a pool or pond into a putting station. 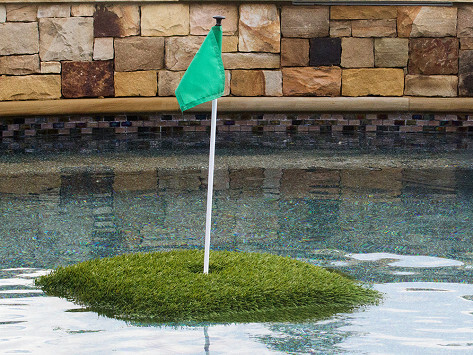 This floating golf green adds an extra element of fun to your practice. Made in the USA from 100% recycled synesthetic turf, it comes with floating golf balls, a flag, a cup, and a turfed chipping pad. Don’t have a pool? You can use it on land, too. Dimensions: 3' x 3': 36" x 36" x 4"; 3' x 4': 60" x 48" x 3"; 4' x 6': 48" x 72" x 4"
My Husband and I love it. So does everyone that sees it. So much fun even though I'm not very good....yet!!! We bought one for a gift and one for us after using the golf turf at a friends. "Best Gift Ever!" was the responce. I had it for a few weeks and it fell apart. The glue didn't hold.